Unified Field Corporation - Soil Carbon Restoration: Can Biology do the Job? A great deal of discussion in scientific and governmental circles has been focused recently on how to deal with greenhouse gas emissions and the resulting weather extremes they have created. Most analysts believe we must stop burning fossil fuels to prevent further increases in atmospheric carbon, and find ways to remove carbon already in the air if we want to lessen further weather crises and the associated human tragedies, economic disruption and social conflict that they bring. But where can we put that carbon once it is removed from the air? There is only one practical approach — to put it back where it belongs, in the soil. Fortunately, this is not an expensive process. But it does take large numbers of people agreeing to take part. Since few people will change what they are doing without a good reason, we have written this short paper. 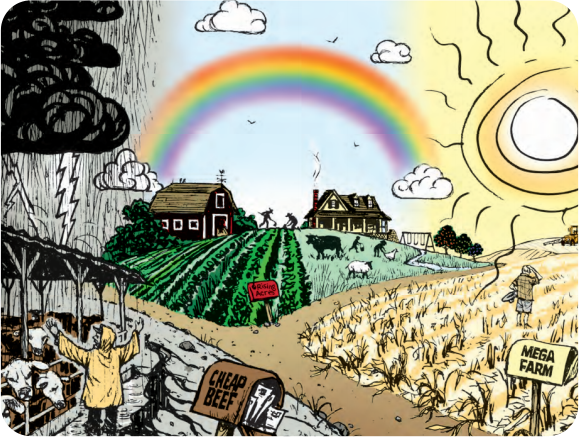 We hope it explains the problem of carbon dioxide buildup and climate change, how carbon can be taken out of the atmosphere and restored to the soil, and the advantages that can come to farmers and consumers from growing in carbon-rich soils.